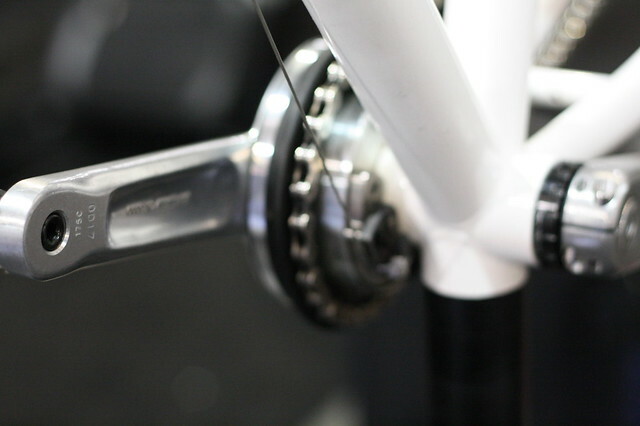 Did you know that Full Speed Ahead (FSA) does commuter stuff? 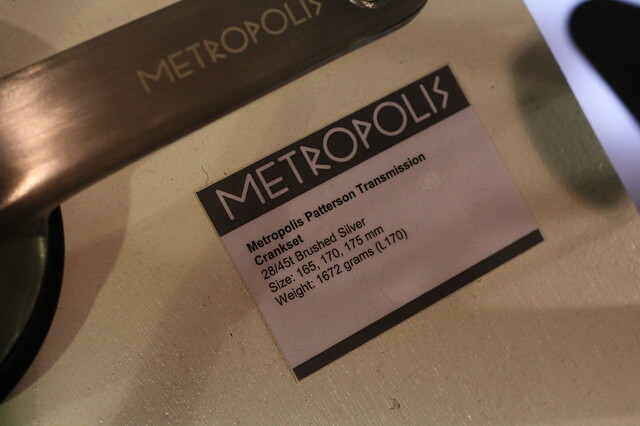 Well here’s a great start, this is the Metropolis Patterson Transmission. 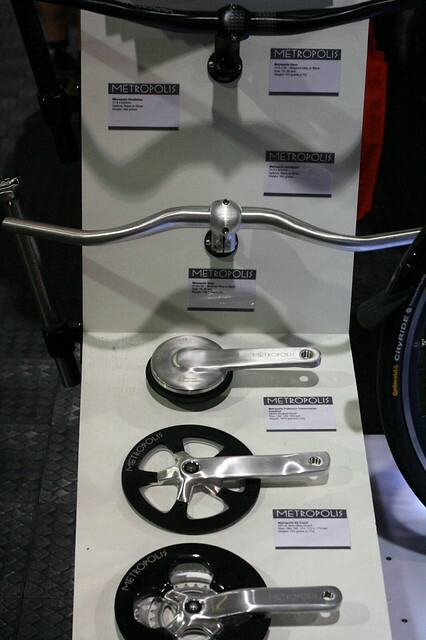 It sorta reminds me of the Truvativ HammerSchmidt cranks. 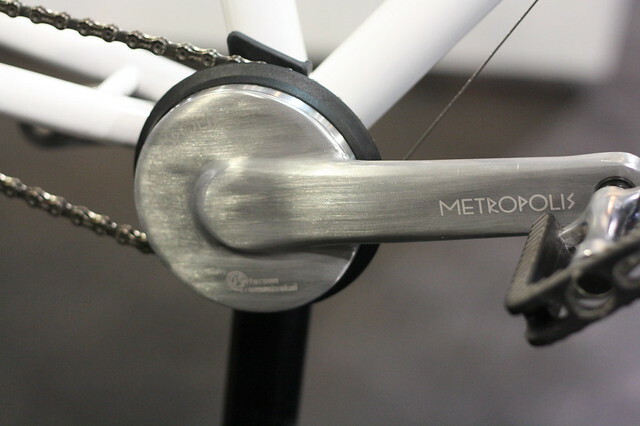 They have a whole line of Metropolis components available for the urban rider. 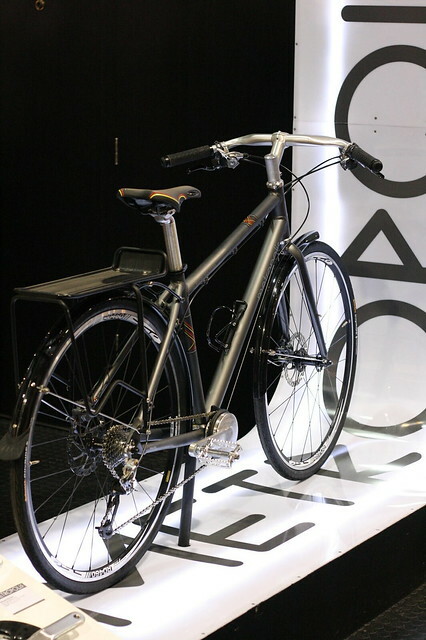 This bike is a perfect example on how its equipped with the groupo. Any word on how this Metropolis crank WORKS? I, for one, LOVE the brushed finish…sure, the brushing could be finer-grained, but man that is a cool finish idea. Perhaps the pics do it more justice than eyeballing it in real life. That bike doesn’t need a long cage derailleur.